This post is excerpted from the new book Relational Grace: The Reciprocal and Binding Covenant of Charis (BYU Studies, 2015), available here. 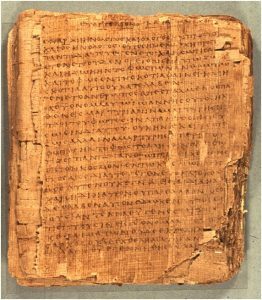 For the ancient Greeks and Romans, the word charis, grace, described gifts or favors offered, accepted, and returned or repaid (although full repayment was not expected). The receiver was expected to give thanks and be dutiful to the giver. To accept a charis gift was to enter a socially binding agreement. The New Testament’s many passages about charis stress the obligations Christians have. These have often been overlooked as later theologians placed emphasis on the “free” aspects of grace. It is important to try to understand Paul’s teaching as his gentile audience in first century AD would have understood it. I believe Paul’s message has been misinterpreted and distorted by Augustine, Martin Luther, and others. The oft-cited Romans 3:24 might be used to contradict my thesis that grace is not “free” but obligatory. The King James Version reads, “Being justified freely [dorean] by his grace through the redemption that is in Christ Jesus.” However, dorean means “as a gift,” not freely. Gifts were not given “freely” in the ancient Mediterranean world because every gift had nuances of reciprocity. In his translation, Joseph Smith rightly changes the word freely to only (“Therefore being justified only by his grace . . .”), reflecting the absolute power of the Atonement. 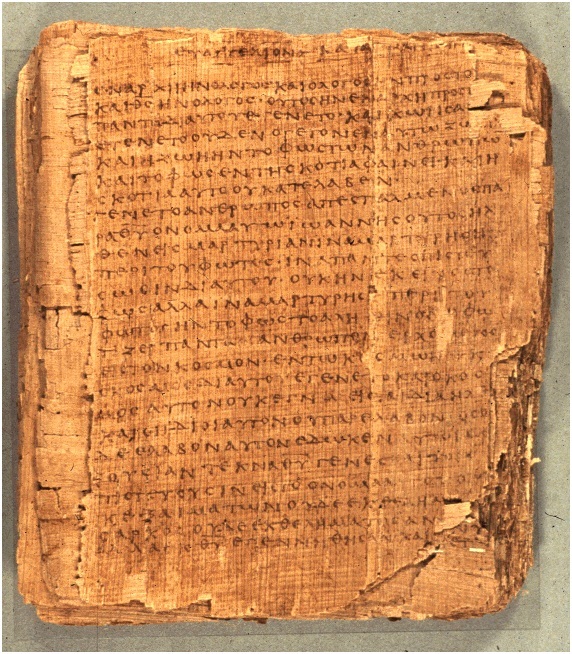 In addition to Romans 3:24, the KJV translators rendered the word charis in Romans 5:15–16, 18, as “the free gift.” In his epistle to the Romans, Paul needed to argue for a reciprocal gift of physical and spiritual salvation from the Savior because both Greeks and Romans did not generally understand or accept life after death, resurrection, and eternal life. The first-century philosophies of the day—cynicism, Epicureanism, stoicism, and neo- Platonism—taught divergent and very abstract views on death and the afterlife (or lack of one). Gentiles did not usually accept the doctrine of a physical resurrection or spiritual salvation, necessitating Paul’s frequent treatment of this subject in his epistles, especially to the Romans. In his Epistle to the Romans, Paul sometimes discusses salvation ambiguously but at times refers specifically to salvation from physical and spiritual death. Romans chapter 6 is an example of Paul’s teaching regarding the doctrine of being saved from both physical and spiritual death through the Atonement. Paul alternates his teaching in this passage by switching back and forth between two related but distinct concepts of salvation: overcoming physical death and overcoming spiritual death. Romans 6:1–4 discusses not continuing in sin (overcoming spiritual death through obedience). Verse 5 explains that all will be resurrected (overcoming physical death). In verses 6–8 Paul teaches that disciples are freed from sin through Christ (with Christ, a person can overcome spiritual death). Verse 9 deals with the permanence of Christ’s resurrection (overcoming physical death). Verses 10–23 explain the theme of avoiding sin through being empowered by Christ’s grace (overcoming spiritual death). All will eventually be physically resurrected, but Paul further discusses the doctrines of the gospel which become the means by which his converts may avoid spiritual death. Because some Christians today do not make the theological distinction between physical and spiritual death, some assume that all will be saved. Many Christians consider a literal, physical resurrection problematic because of anti-materialistic, philosophical notions first taught by Greek philosophers and then adopted by Church fathers who argued for a mystical and only spiritual resurrection. Many traditions follow the fourth-century theologian Athanasius, who argued for some kind of mysterious, nonphysical but spiritual unification with God. Therefore, this form of grace is now associated with deliverance from spiritual death without a literal, physical resurrection. Finally, the ancient convention of reciprocal charis and its obligations is compatible with a material, object-oriented universe. Perhaps one might argue that Paul overturned reciprocal ideals of grace in his writings. If one looks at the ideas of grace in Romans specifically, which was almost certainly written by Paul, one might find it therefore necessary to reinterpret how he uses grace in writings that were only attributed to him. This theory that Paul taught a new meaning for the word charis is problematic for many reasons. Some Protestant theologians have commonly employed a few select Pauline passages to interpret others. After interpreting Paul’s meaning of charis as a free, permanent, no-obligation gift from God, they reinterpret the entire Bible to argue that Paul, in fact, invented a new version of Christianity that his Gentile converts understood and accepted. Through the Atonement of the Savior, all people are able to make covenants that imply reciprocity, coupled with love for Heavenly Father and others. Like the ancient convention of asymmetrical reciprocity, the covenants that people make today through ordinances are contracted with God alone. Another example of typical gentile unbelief in the resurrection may be found in Acts 17. Other references are scattered throughout the writings of epicurean Roman poets from the first century BC such as Lucretius, Catullus, and Horace. See the discussions in Robin A. Parry and Christopher H. Partridge, Universal Salvation? The Current Debate (Grand Rapids, Mich.: Eerdmans, 2004); and Wayne Morris, Salvation as Praxis: A Practical Theology of Salvation for a Multi-Faith World (New York: Bloomsbury T & T Clark, 2014), 96–98. See a detailed treatment of this subject in Stephen H. Webb, Mormon Christianity: What Other Christians Can Learn from the Latter-day Saints (New York: Oxford University Press, 2013). Lake City: Deseret Book; Provo, Utah: Foundation for Ancient research and Mormon Studies, 1992), 270. I would extend the point to include that reciprocal charis is incompatible with the classical theism in traditional Christendom of an immaterial God without parts or passions, but that is a subject for another time. Webb, Mormon Christianity, brilliantly points out many metaphysical advantages of Mormon theology. Adam S. Miller, Speculative Grace (Bronx, N.Y.: Fordham University Press, 2013), demonstrates how grace operates in an object oriented universe. This entry was posted in Brent J. Schmidt, Grace, Paul, Romans on August 27, 2015 by Administrator.